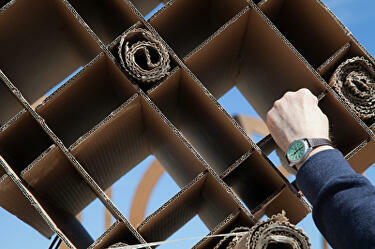 Photographs of Gimme Shelter - a cardboard-box city-building workshop for children aged 10 and older. 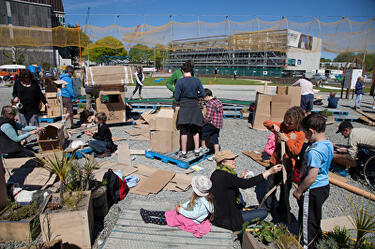 The workshop was led by Wellington-based artist Simon Gray. 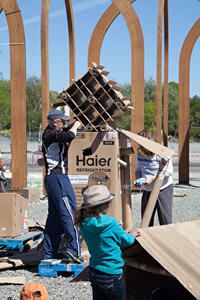 Gimme Shelter was held at The Commons and was part of the public programme for FESTA 2014.